t*rexes and tiaras: Tuesday Titles 139.. I love it when you come to the end of a book and yet still feel as though you're deeply embedded in the story. I read this over the weekend and was still thinking about it on Monday morning. A wet night; a car crash; three lives are changed forever.. When Sam Davenport and her husband, Neil are involved in a car crash on their way home from a party one rainy night, they can't possibly know how long they will have to live with the consequences. Each faced with a moral dilemma; Neil has to decide whether to flee the scene, whilst Sam has to decide whether or not she can bring herself to lie for him. I am fascinated by deception in all its forms and I wanted to write a story where someone is faced with a moral dilemma (I chose the car crash) and makes a snap decision as to which path to take. Then, once they are on it, they have to carry on down that path. I also wanted to explore the idea of one lie leading to another and another so that a character becomes imprisoned by their own lies and somehow has to find their way back to themselves. I also wanted to explore how our parents imprint themselves on our lives both in good ways and bad. All of the main characters are shaped by their parents' failings/lives - Neil because his own father failed in his profession driving Neil to succeed in his place, Sam being scarred because of her father's infidelity and David because he lost his parents at a young age and never came to terms with the grief. This also gave me the opportunity to explore the idea that sometimes the biggest lies we tell are often the lies we tell ourselves. 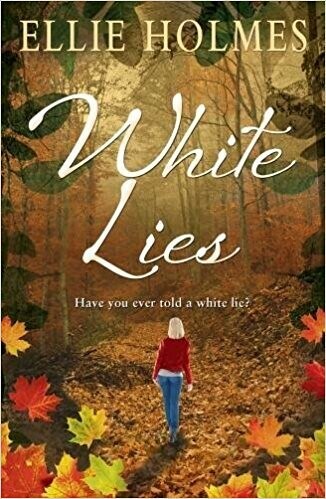 In White Lies the characters only become true to themselves once they face up to their parents' influences and move beyond them to become their own people.